BUSINESS PLANNING: WHAT’S THE POINT? Lucy Fox, General Manager, Cloud Solutions at Exact discusses how writing a business plan could be the best way forward for SMEs. The recent budget saw the Chancellor announce a package of benefits for SMEs. The Annual Investment Allowance will be doubled until 2015, allowing SMEs to reduce their taxable profits. Apprenticeships will be given extra investment and energy-intensive industries will benefit from reduced fuel costs. With UK-based companies paying more for energy than their mainland European or US counterparts, the support package is likely to be a welcome relief. This isn’t the only good news SMEs have to look forward to, however. Confidence among SMEs is growing, we’re seeing greater survival rates in small business and manufacturers are planning to increase investment in their companies. These announcements are good news for SMEs, especially those looking to grow their business. To make the most of the 2014 budget benefits package, increased investment and growing confidence, businesses should plan ahead. 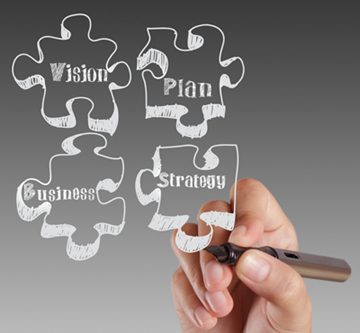 Business plans force a company to identify their goals and priorities, and then map out strategies to meet those goals. Common goals for SMEs include attracting new customers, increasing revenue and increasing profit margins. Business leaders can also create metrics which will help them keep an eye on the progress towards these goals. Business plans are not only essential when getting funding for a business, they are also helpful in the day-to-day operations. A plan can provide an overview of the whole company from HR to finance and provide an analysis of the marketplace to inform the decisions that will need to be made throughout the year. A cash flow plan to weigh up your fixed costs against predicted income. This will help to inform your decisions when unexpected costs crop up. Market analysis to provide an indicator of the growth potential within a market. This is essential when considering whether or not it’s time to open another branch. Sales strategies and a well-defined USP. Getting these right could provide enough revenue to open that second branch. Despite the clear benefits of having a business plan, recent research commissioned by Exact found that one third of SMEs didn’t have one in place. Being uncomfortable with numbers and having no one to help contributed to some SMEs not having a business plan. However, writing a plan doesn’t need to be difficult, even for sole traders. The research found that more than half of SMEs trust their accountants, and the accountants are more than willing to help with a similar number feeling they influence their clients’ decisions. Turning to the person who does your books should be the first port of call for the SMEs who aren’t comfortable with numbers or aren’t sure where to start writing a plan. Our accountants can do more than just file our tax returns. They can provide valuable insight into the health of the business and help build client relationships. An accountant that specialises in SMEs will already have a network of contacts that you can tap in to. Once the business plan is written, reviewing it regularly will help ensure SMEs benefit as much as possible from it. After all, a business plan is of no use if it’s put in a drawer the moment it’s finished. Regularly reviewing business plans can keep everyone within a company thinking about the goals they want to achieve for that year, as well as indicate when they are losing focus on their priorities. To make the most of the benefits for SMEs announced in the budget, companies need to incorporate how they plan to use them in a business plan. Not only will this help with the day-to-day running of the business, but it will inform the decisions that need to be made. The benefits of a business plan are clear. It encourages companies to set and achieve their goals. When difficult situations come up, a business plan can help inform the decisions that will need to be made. But perhaps the biggest endorsement for having one comes from our recent research, which showed that those SMEs who did have a business plan in place were consistently more profitable than those that did not. It pays to plan ahead.